KDE wants to make it easy to get involved! The best way to contribute is to start at the top of this list and work your way down. Begin by filing high-quality bugs. Then move on to triaging other people's bugs. Soon you'll start submitting patches for easy-to-fix issues you've discovered through bug triaging--including some of the bugs you filed earlier! Then move onto whatever speaks to you most--translation, visual design, promotion, accessibility; the sky's the limit! KDE is a mostly volunteer community made up of people just like you! But not everything in this world is free--including web and file hosting costs, airfare to KDE events, and even hiring some full-time developers. 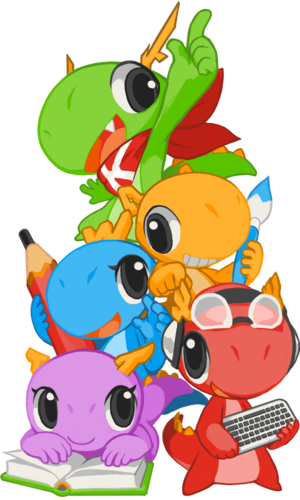 If you would like to help KDE purchase the goods and services necessary to continue producing amazing free software, consider donating. Find out more about making a financial donation to KDE. Part of being in a community is talking to the other members. KDE members use a variety of different venues to communicate, depending on the topic. To track work, such as offering a patch for review, updating a website, or coordinating a promotional campaign, KDE uses Phabricator diffs and tasks. Sign into Phabricator with the username and password for your identity.kde.org account; if you don't have one, sign up for one here. Then return to https://phabricator.kde.org, click the "Log In" button at the top of the page, and enter the username and password for your KDE Identity account. More information about Phabricator is available here. KDE has a variety of programmes to introduce new contributors to KDE. These include external programmes that we participate in like the Google Summer of Code and the Outreach Program for Women, as well as KDE's own programmes, such as Season of KDE. We also maintain an informal list of people who are willing to help out any newcomers. You can find an overview on the Mentoring page.